Three weeks ago we were treated to the Sunday edition of Mutts in the newspaper being a take-off on a Fantastic Four cover and guest-inked by 1960s Fantastic Four inker Joe Sinnott. 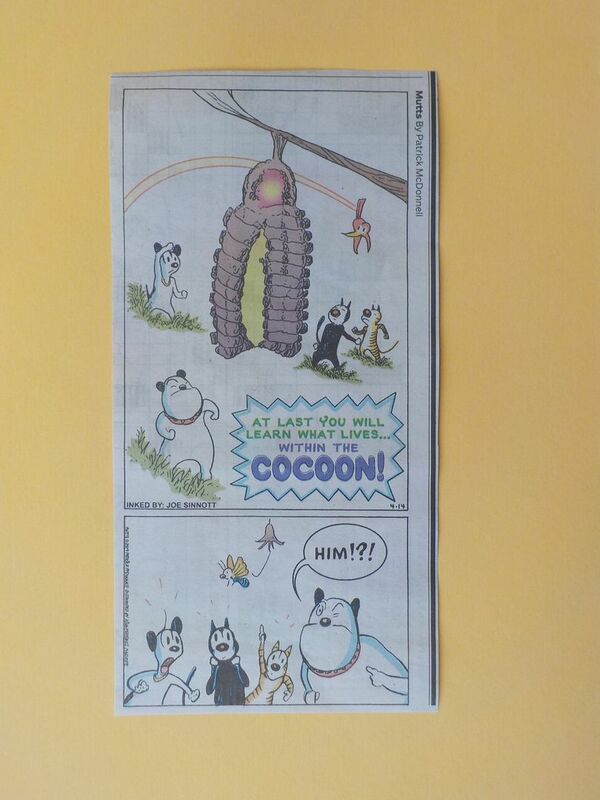 This past weekend we were again treated to Mutts being a take-off on an FF cover and guest-inked again by Mr. Sinnott! How long can this continue? Forever , we hope! Way back at the dawn of The Hayfamzone Blog (thirteen years ago now!) 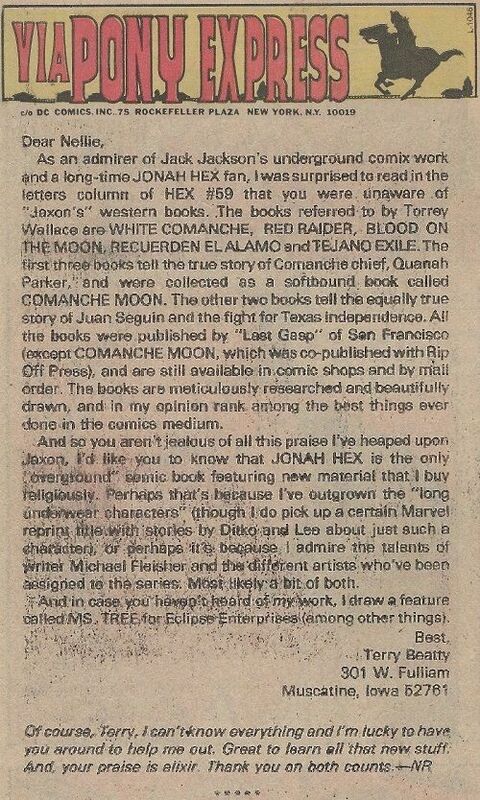 I informed you that my suggestion for a letters page heading was chosen when Jonah Hex was awarded his own title in 1977. Since J.H.ex was a western comic I thought "Via Pony Express" was right on the money and the editor agreed! I wrote all this in the Blog thirteen years ago but I never showed you what the heading looked like because the Hfz displayed only text and no images for its first year. Now it can be shown, voila! The designer did a very nice job including the horse and rider in silhouette, I would say. Bravo! Hooray for Jonah Hex! 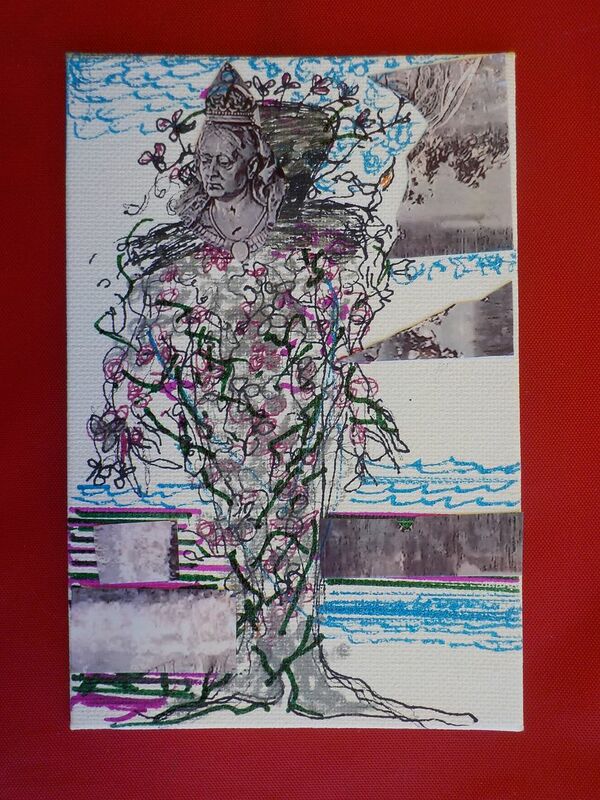 The artist known as Goddess of the World has given me as a gift the above original painting of Swamp Thing, her interpretation of that classic character. Quite excellent! Many thanks, G.o.t.W.! "This Man... This Muenster" indeed! Last Sunday's installment of Patrick McDonnell's Mutts was guest-inked by the great Joe Sinnott and you can see the result for yourself above. 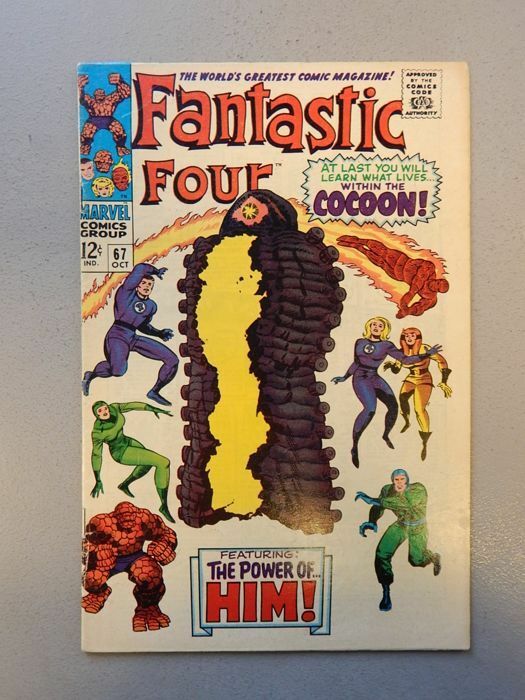 Of course that drawing is a lampoon of the below-shown 1966 classic cover drawn by Jack Kirby and the self-same Mr. Sinnott. Hooray for all parties involved in executing this exercise in fannish fun! 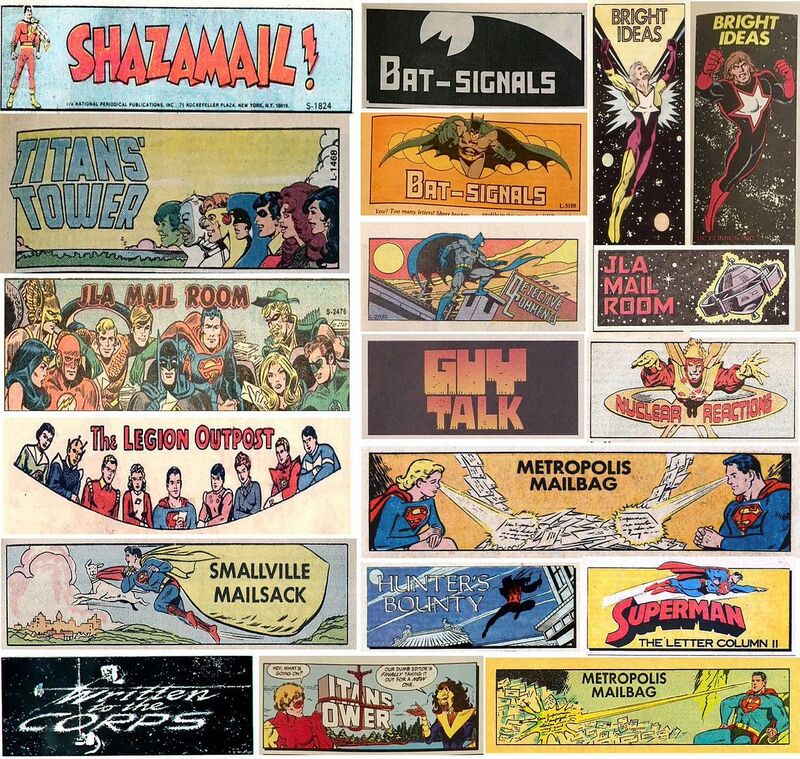 The Comics Journal began humbly as an adzine with little-if-any editorial content but it rose to be a major source of comics-related information from the late 1970s through the 1990s and maybe slightly beyond. 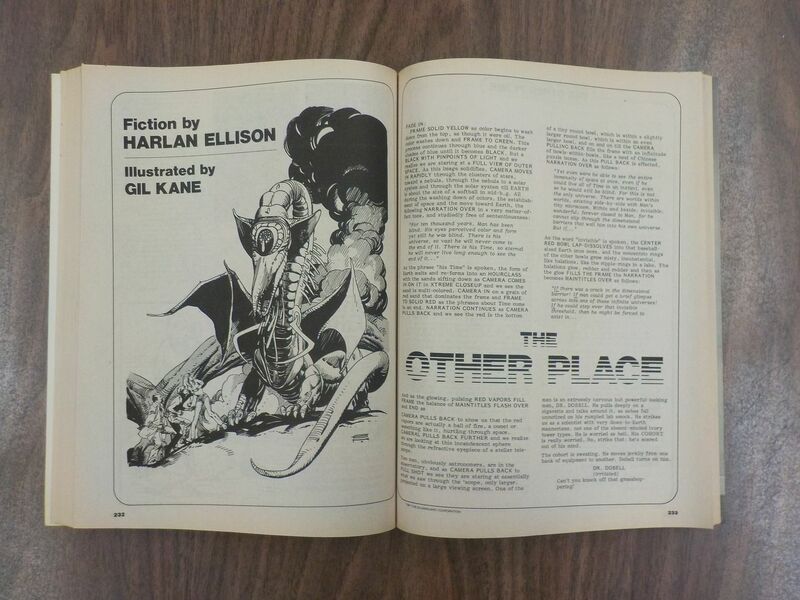 TCJ 63 dated May of 1981, for example, included long-form interviews with Steve Englehart and Wendy Pini and it also featured fiction by Harlan Ellison with illustrations by Gil Kane! Not bad! 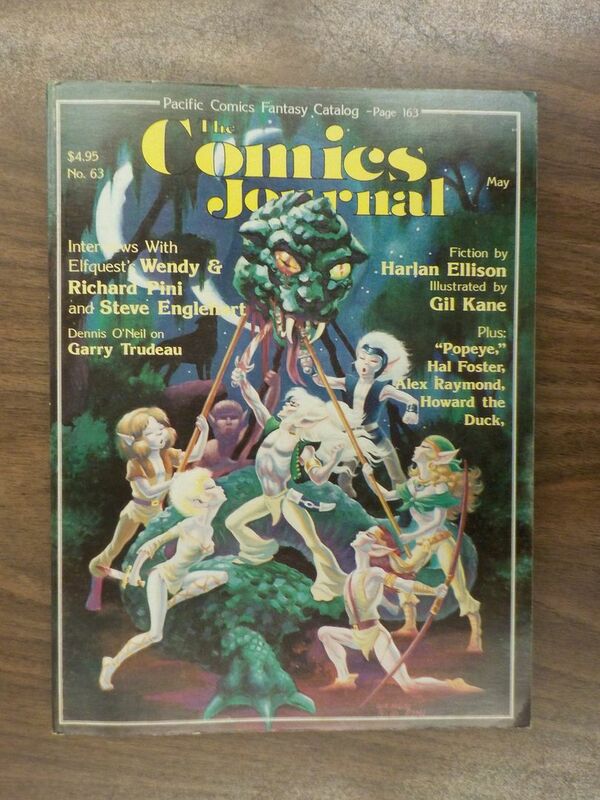 Most issues of TCJ were standard magazine thickness but the above squarebound issue reported in with 336 pages, slightly akin to a phone book. For over 20 issues I've been reading and disliking the letters to the editor that you print, but only yesterday did I consciously realize the reason for this disliking. The whole problem stems fro the fact that they are not "letters to the editor." What are they then, you ask. Well, half of them speak directly to the reader, which makes them letters to the reader, not the editor. The writers of these letters have taken it upon themselves to presume that their letter will be printed, and so take the liberty of making the letter sound like an article. The other half of them are written by your staff writers, and so cannot properly be considered letters to the editor. Seeing Martin Pasko's tirade appear as a letter to the editorand then seeing the very Pasko himself answering other people's letters made my eyes feel tremendously silly(the tirade in question might have more reasonably be billed as an introduction to those subsequent letters). The other half are not so much letters as theses, whose authors are bent on convincing the editor/the reader/themselves that they know a whole lot about comics and that they drink vinegar for breakfast. I could tell you about the other half of the letters, but I'll restrain myself. I will blurt out, though, that some other fraction of them are written by pros just for the sake of being written by pros. Again, an integral part of a letter to the editor is the chance that it will not be printed, but from the look of things, any old pro who writes a letter to you (no matter how many times, I might add) is guaranteed publication. I cannot bring myself to be as negative as most of your letter-to-the-editor writers are, so I will concede that the other half of the letters that you print are in fact perfect examples of what letters to the editor should be like. No unlike this one. The Comics Journal has not published a print edition for a few years now but it does maintain a quiet online presence. 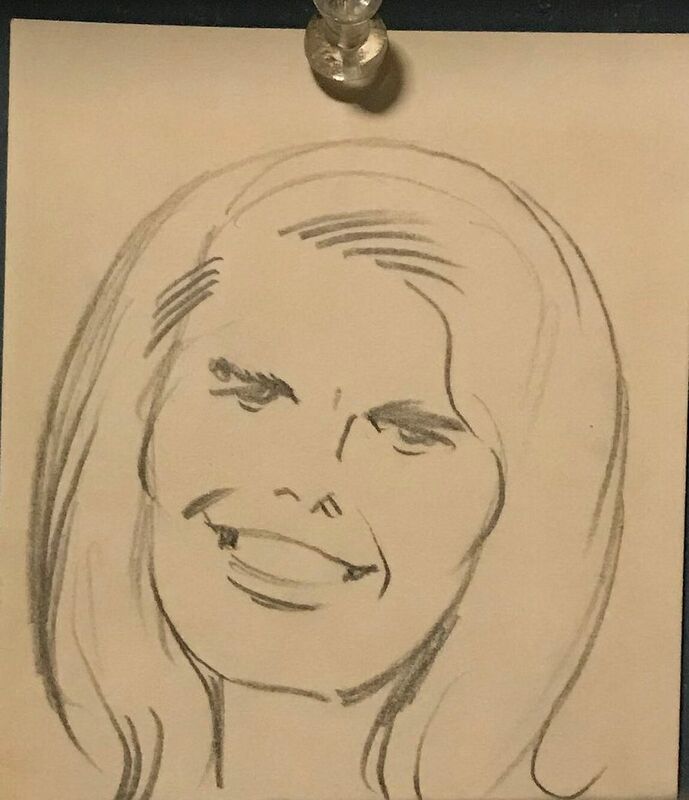 Comics artist Sandy Jarrell recently displayed on twitter his Jack Kirby pencil drawing of Kamandi. So nice! 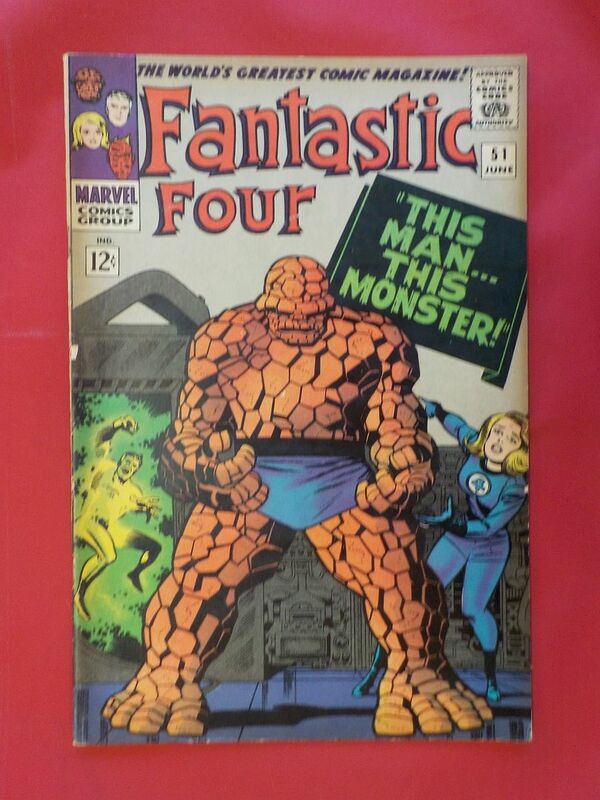 The suppleness of the line suggests to me a vintage of between 1972 and 1974, my favorite of the many phases of Kirby. And how about the expressiveness of those eyes? 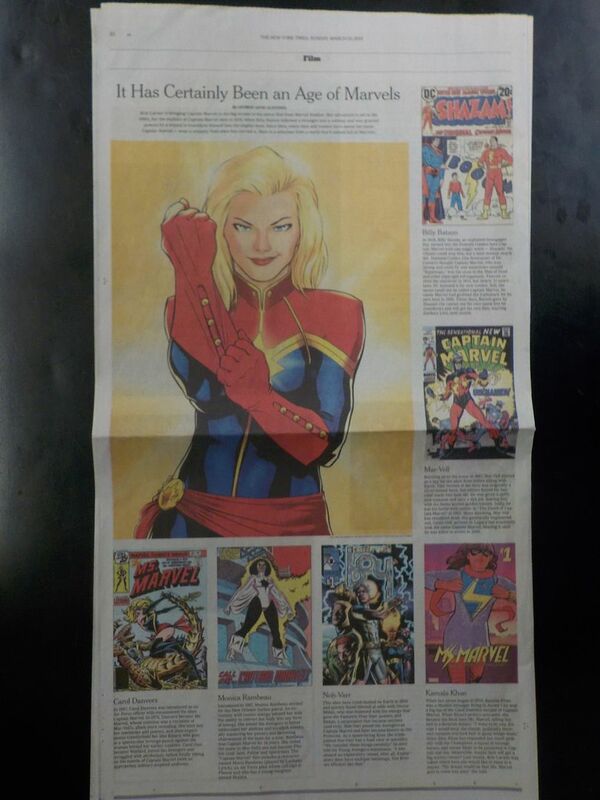 The opening of the Captain Marvel movie last weekend was the catalyst for The New York Times publishing the above full-page feature in their Sunday edition. 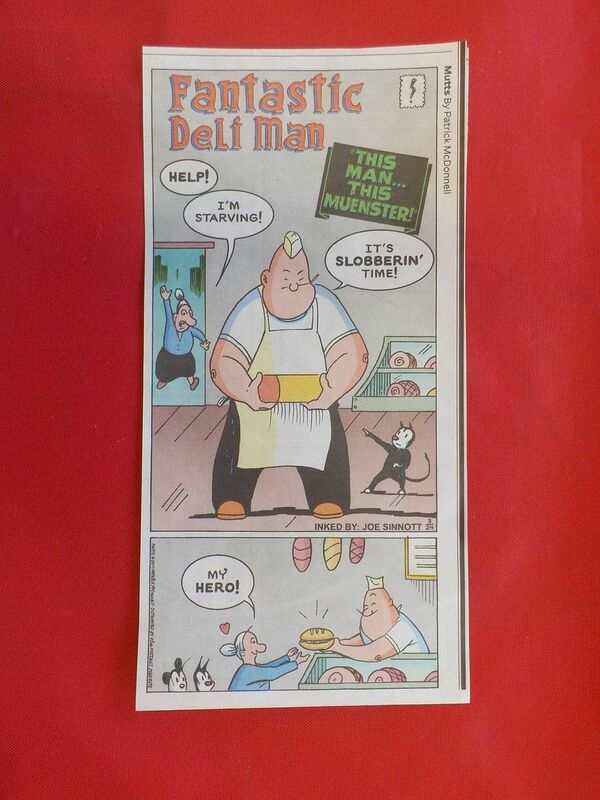 It's always great when comics make a nice splash like that!